Microsoft's first moves won't be in the home, it appears, but in the car. At long last, Microsoft has set a public target of bringing consumer devices—that aren’t PCs—to market in 2017 with its personal digital assistant, Cortana, inside of them. On Tuesday, Microsoft announced a way to challenge Amazon’s Alexa-powered Dot and Echo devices, as well as Google’s Google Home. Microsoft’s New Devices SDK will allow to power a new line of connected-car speakers from Harmon Kardon in 2017, executives said, with presumably more partnerships to come. This follows an earlier announcement that Cortana is coming to Windows 10 IoT, Microsoft's operating system for smart devices. Why this matters: Though Apple, Microsoft, and Google all have prominent artificial-intelligence initiatives, it’s been Amazon—and, to a lesser extent, Google—that have designed devices around their technology. 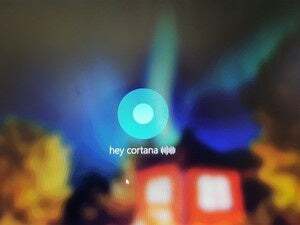 With the struggles of Windows Mobile, Cortana has been largely relegated to Windows 10 PCs instead of the mobile devices that users are increasingly turning to. Microsoft really needs a flagship consumer device to show off its AI capabilities—and it sounds like it’s planning on having a bunch of them. In terms of artificial intelligence, Microsoft’s engineers have been moving on several fronts. 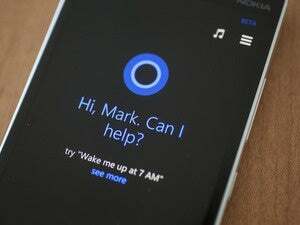 The company’s flagship technology is obviously Cortana, which so far has been an assistant primarily focused on productivity, according to Ryan Gavin, general manager of Search, Cloud and Content, for Microsoft. But the company has also increasingly focused on bots, including a clever way of mining static web pages like FAQs for their knowledge, then turning them into interactive bots that can be set up in literally minutes. Microsoft also formally announced its substitute for its Tay.ai chatbot, Zo, though that quietly debuted several days ago. One of the issues that Microsoft executives acknowledge they wrestle with is balancing productivity with personality. Interactions with Cortana are generally terse: Microsoft measures interactions with Cortana and its chatbots using a metric called conversations per session, where a conversational turn is a response from both parties in the conversation. Cortana’s CPS is about 3 or 4, while chatbots like Xiaoice can reach about 20, according to Harry Shum, the newly-appointed executive vice president of the Microsoft AI and Research Group. One session with Zo reached a whopping 1,229 turns, over almost 10 hours. Microsoft’s new Calendar.help service allows Cortana to step in and provide scheduling assistance. That level of give-and-take may not make sense for Cortana in everyday situations. Instead, Microsoft executives said they’ll take another tack: Bridging some of a bot’s specialized skills to Cortana. In February, Microsoft will preview the Cortana Skills Set, an easy way of bringing existing “conversational investments” into Cortana. “Skills” will be what enables services from NoMail and CapitolOne, where users were able to pay bills and search out high-priority email, to be integrated into Cortana without the need for a keyboard, executives said. 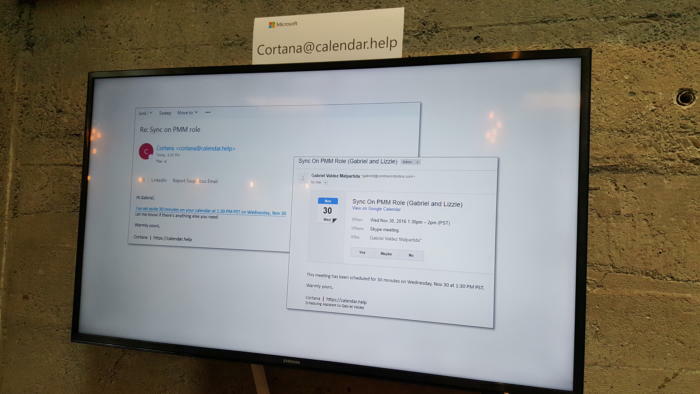 One additional service that Microsoft showed off is what it calls “Calendar.help,” where users can email contacts and “cc:” Cortana, who will step in, via email, to actually schedule an appointment where it’s convenient for both parties. The goal, Shum said, is to “democratize AI,” where Microsoft will bring intelligence to as many apps as it can. For now, it needs to remind consumers that it has that intelligence in-house, and smart Cortana-powered devices will be a vivid testament to that.